Enterprise Alabama will host this year’s Military Helicopters 2016 event which will take place July 25-27. Don’t miss the opportunity to attend the only event specifically tailored to support ALL BRANCHES, where industry leaders and military personnel will come together to discuss, share, learn and develop their knowledge of helicopters in an effort to provide all branches with improved, stronger, safer and more cost effective fleets. Did we mention that ALL active military and government personnel attend the event FREE OF CHARGE! Download the preliminary agenda right here. 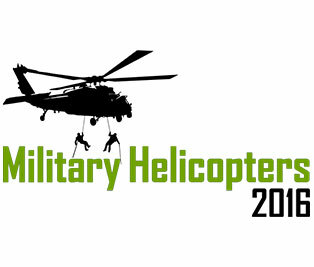 Military Helicopters 2016 Event, is the only event specifically tailored to support all branches of the military, where industry leaders and military/government personnel will come together to discuss, share, learn and develop rotary wing aircraft requirements in an effort to build the next generation of vertical lift platforms.